Arlene Brosas, a representative of the Filipino feminist group Gabriela, on Wednesday opposed the hosting of the Miss Universe pageant in the Philippines, calling it an objectification of women and a cover-up of the country’s societal problems. 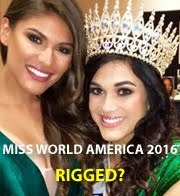 he Philippines won the title in 2015 albeit a controversial one after its host Steve Harvey wrongfully crowned Miss Colombia Ariadna Gutierrez. Wurtzbach is the third Filipina to win the title, ending a title drought of 42 years for the Philippines. Wurtzbach during her reign pushed for her advocacy of promoting awareness about HIV. The Philippines’ bet this year is Maxine Medina, who promised a back-to-back victory for the country.